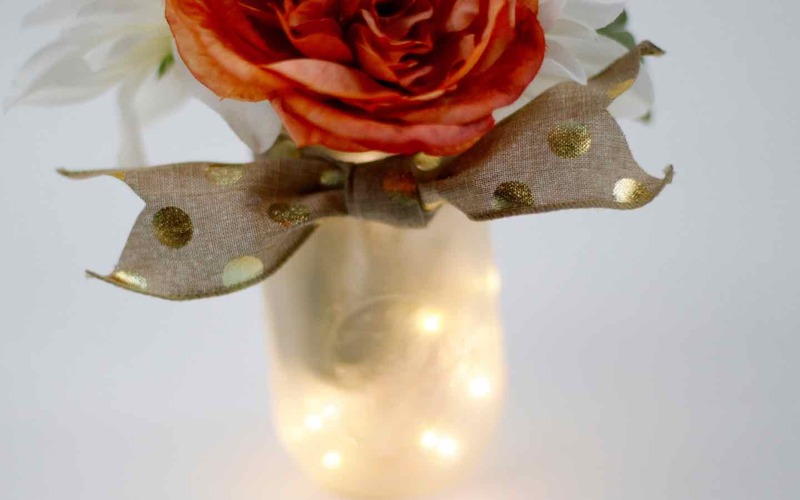 Frosted jars can be made yourself or you can find them frosted from a big box craft store. 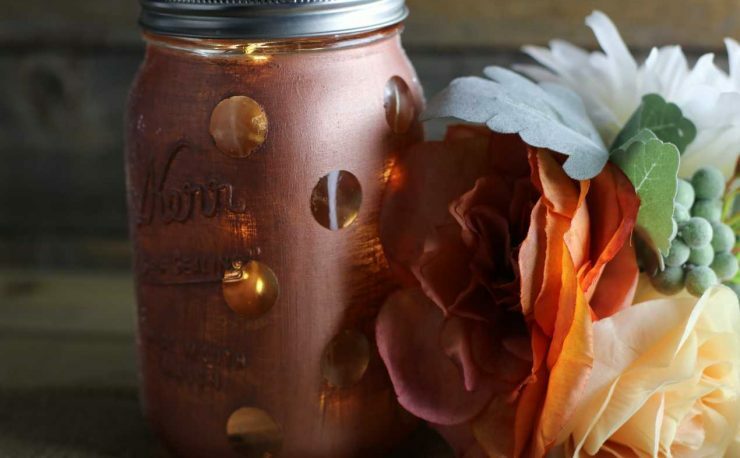 See easy directions how we frosted canning jars with paint to make fun Halloween mummies. 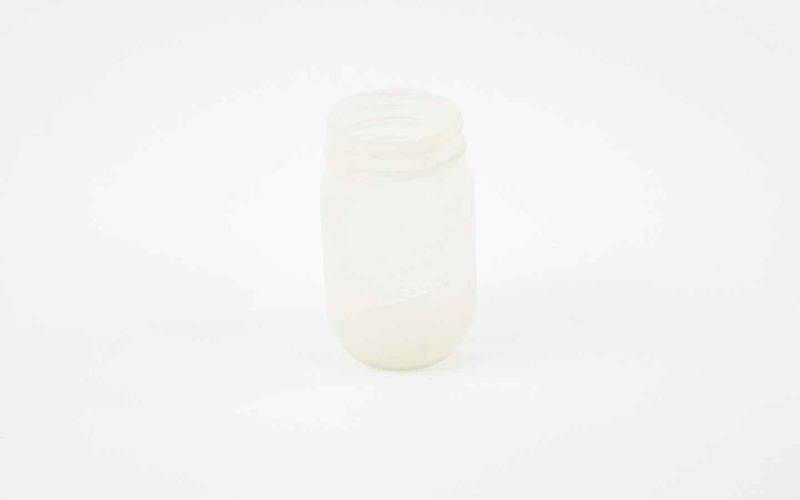 White battery operated lights fit into a mason jar easily. 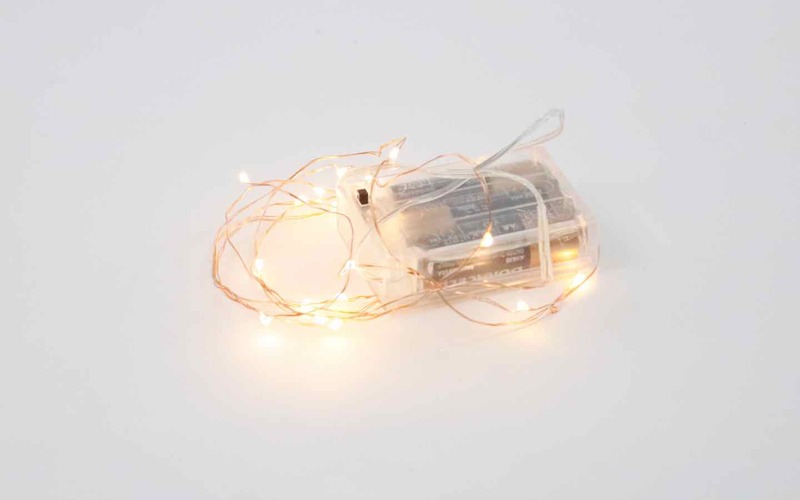 Ribbon from a big box craft store. 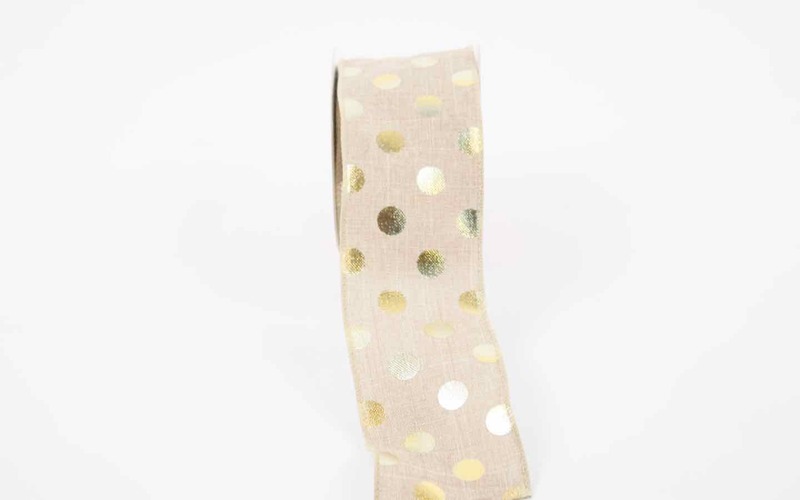 We love this on-trend gold dots on burlap wired ribbon. 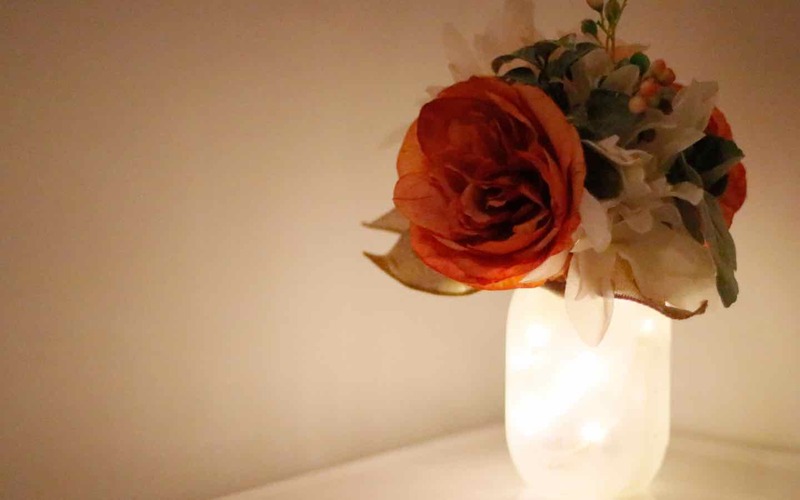 A gorgeous floral bouquet that we left unlit for this project but could be lit following the directions in this blog post. 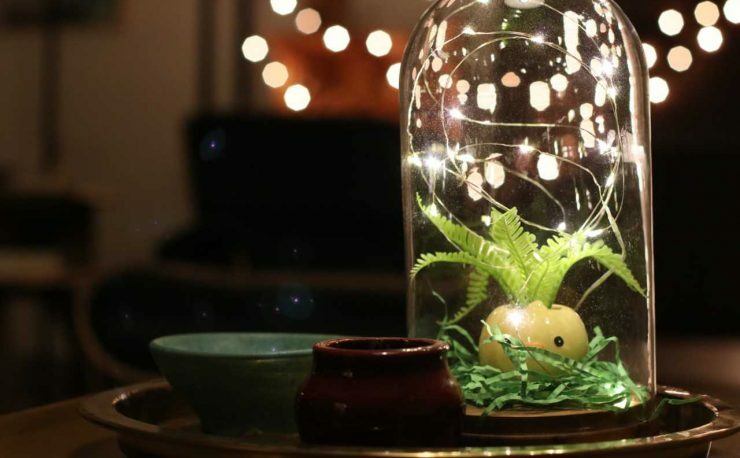 Place the battery operated lights into the mason jar. 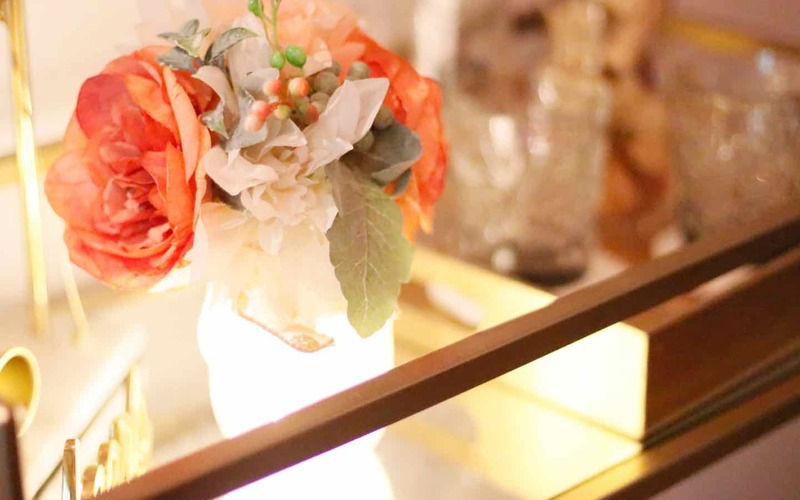 Tie the ribbon into a knot. 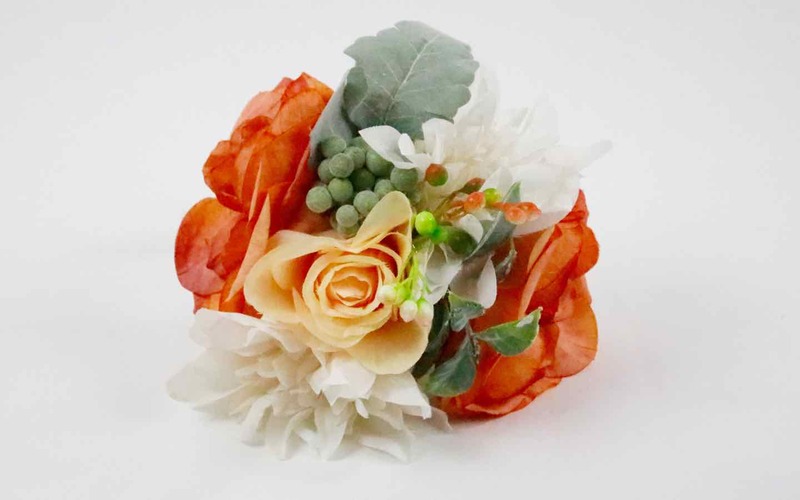 Add floral bouquet. 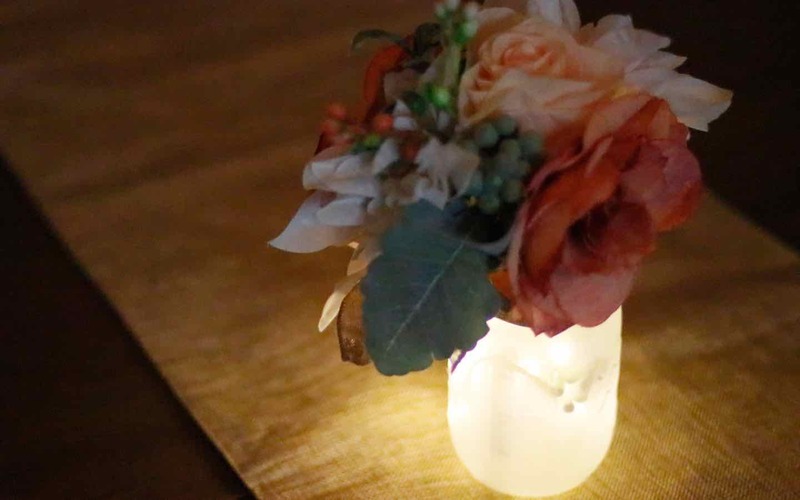 Use as a centerpiece, on a gift table, or to light the bar. 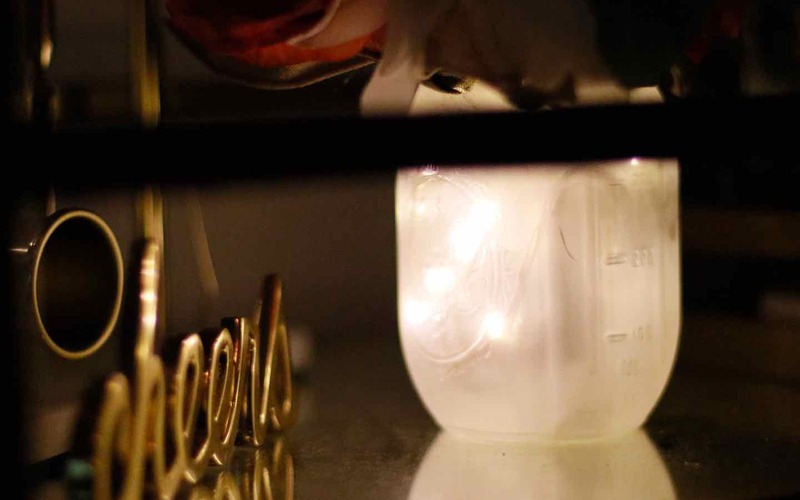 Day of the Dead Battery Light Project! 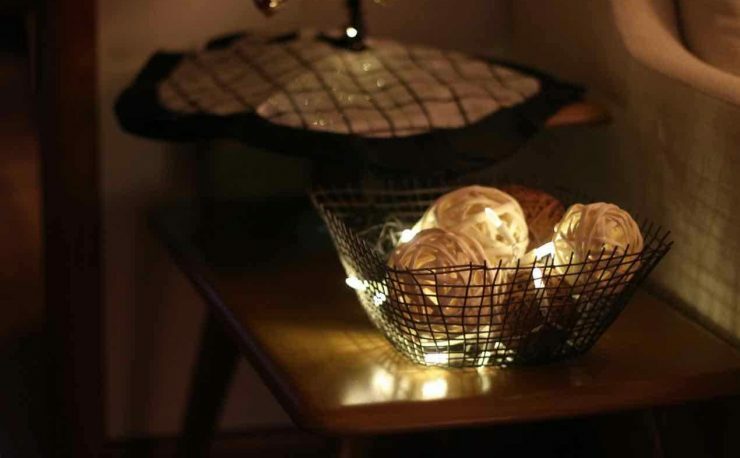 DIY: Raffia balls, lights and a basket! 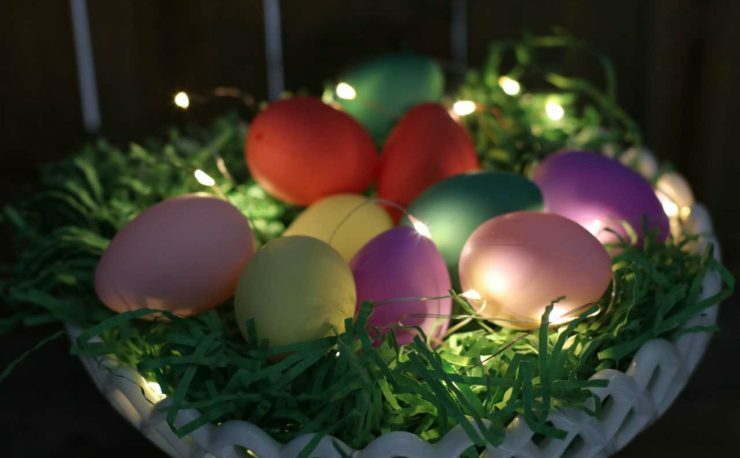 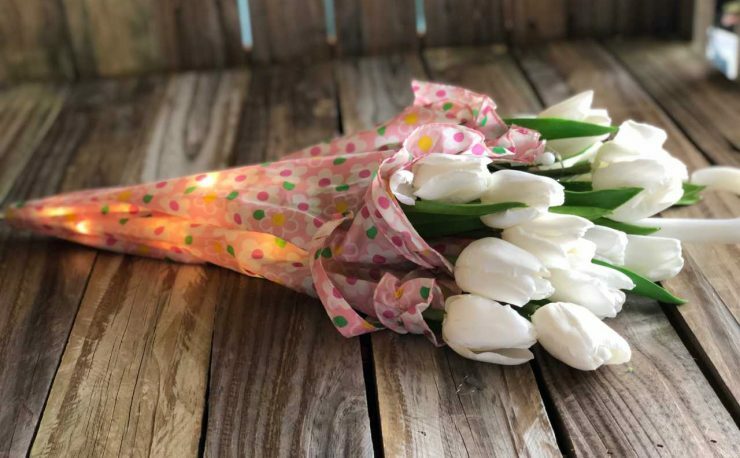 DIY: Light and Easter Centerpiece! 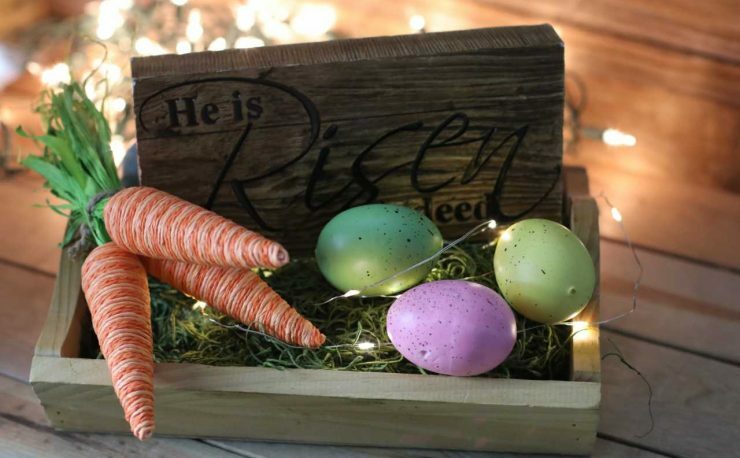 DIY: Easter Chick Planter Dome with Lights!